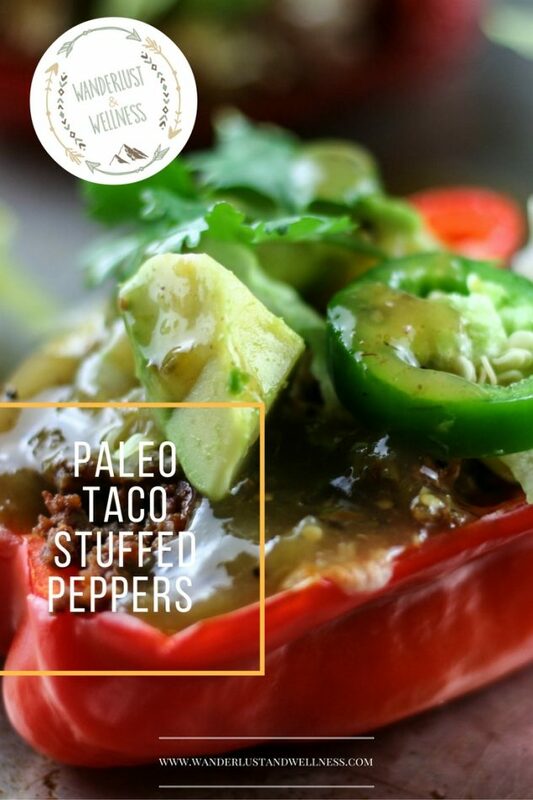 These Paleo taco stuffed peppers just transformed my Taco Tuesday night! My family LOVES Mexican food, we probably eat it once a week. I remember when my husband first moved here he was a Mexican food newbie, as if that’s even possible?!? Apparently, where he grew up there were very few Mexican restaurants, or so he says. Needless to say, I have transformed him into a Mexican food lover over the past 6 years. Eating gluten and corn free is a challenge, especially when it comes to Mexican food. I have tried multiple versions of gluten, wheat, and corn-free tortillas and while they’re okay, they do sometimes miss the mark. I’ve also tried a few homemade tortilla recipes and they’ve actually turned out pretty good. This time I decided to forego the tortilla and add in a veggie. 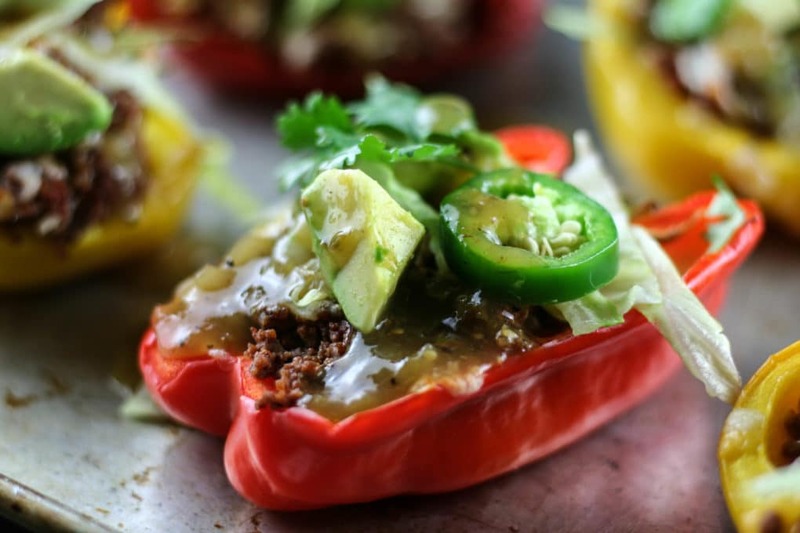 Because, let’s be honest, these peppers are far better for you than any tortilla. 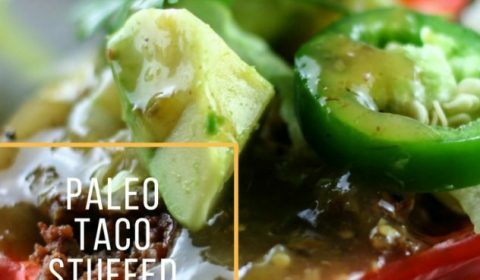 I used Primal Palate’s Taco Seasoning with grass-fed beef and the result was amazing. One of the best taco seasonings I’ve tried. From there you literally make this your own. Choose whatever toppings you’d like to add. We added lettuce, avocado, jalapenos, and some salsa verde. The possibilities are endless here! Add grass-fed hamburger and seasonings to skillet and cook until browned. Drain off any excess grease. Add in can of diced tomatoes and let simmer until it thickens just a bit. Slice each bell pepper in half lengthwise and remove seeds. 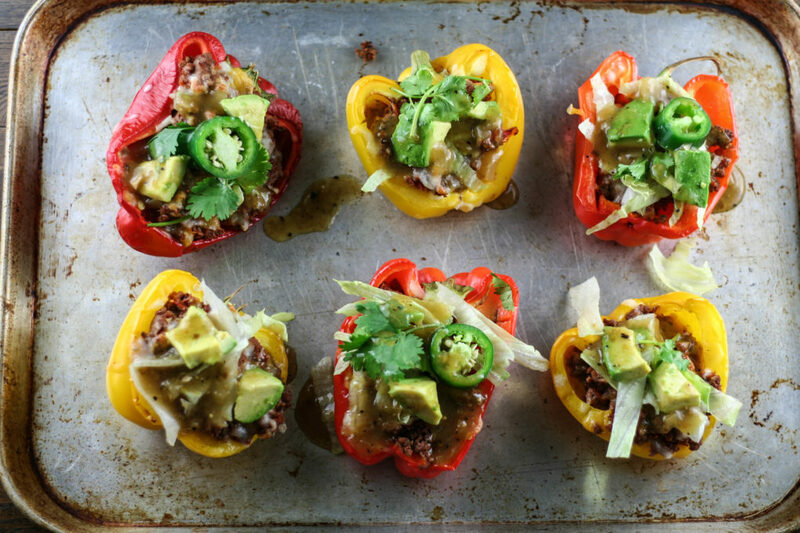 Lay the bell peppers onto a baking sheet and cook for 10 minutes. Remove peppers from oven and add in hamburger mixture. Top with cheese if applicable. Put back into the oven and bake again for an additional 10 minutes. Remove from oven and pile on all additional toppings of your choice.